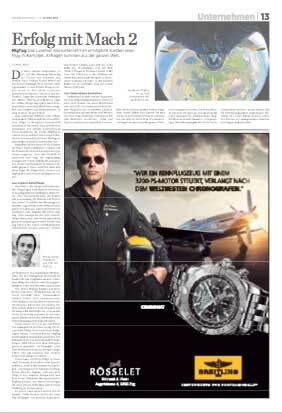 Flying possibilities for civilians in combat aircraft is something spectacular and rare – that’s why we enjoy regular media coverage from all over the world. Highlights include CNN, BBC, Travel Channel / Anthony Bourdain, Business Destinations and European Mass Media where FlyFighterJet.com and its parent company, Zurich-based MiGFlug & Adventure GmbH are regularly mentioned. Below you can find a few examples of the broad coverage we receive about the L-39, MiG-29 and other flight offers for individuals and businesses. For the most up-to-date information on media coverage, follow us on facebook.com/MiGFlug or www.instagram.com/migflug. 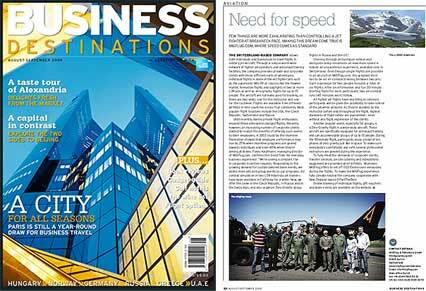 Business Destinations is a leading UK-based magazine aiming at business travellers. The magazine is available to subscribers, in hotels and on Virgin Atlantic transatlantic flights between the US and the UK. please click the thumbnail or view the full PDF here. "Thank you for making my dream of breaking the sound barrier come true!" 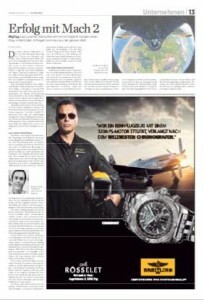 - Ernst, Farmer from Switzerland who flew the MiG-23 in Russia.